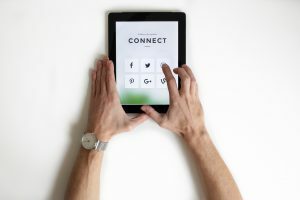 If you are a relatively new business or a small business, you know you need to generate a presence online and create a community to increase your credibility and visibility. You feel too small yet, or don’t have the budget for a full marketing strategy, but you desire a strong and professional identity online. We can provide a solid social/digital media service based on your goals that will provide you with a professional online profile without breaking the bank. We start with our entry level services and can add on as we go and upgrade to our marketing level services when you feel ready! This is a great starting point for businesses that have gained the wisdom to know when to delegate important marketing and communication efforts so that they can focus on what they do best in their business! We know that running a small business can be overwhelming and there is so much to do. With social media and a digital footprint being crucial for any business to survive and thrive these days, we can support you in becoming your own community online and drawing customers to you. Contact us today to learn more about our specific packages and find the one that fits your needs and budget.